Capcom's classic fighting series has undergone an impressive facelift, and the resulting Final Fight Streetwise looks to be one of the year's most promising revivals. The new all-3D brawler features vastly improved graphics, a deeper fighting system, and an engaging plot that unfolds throughout the game. As in the classic title, players will be able to battle foes using either their fists or a number of weapons. What's different this time around is the new respect system that allows you to build up your character's skills. There's also a new combo system, which should add even more depth to the game. Click through to find out how Final Fight Streetwise will bring the series' classic gameplay forward by expanding the concept with added depth and sophistication. Based on the classic Final Fight Universe, Capcom's Final Fight Streetwise is a sophisticated mission-based fighting and combat title that takes the long running franchise several steps forward. Set once again in the legendary Metro City, the game begins as a series of dark events have unsettled the underground. The legendary Travers brothers have ruled the streets of Metro City for many years, building up an impressive reputation that makes them virtually untouchable by other gang members. No one dares to challenge either of them until a seedy organization kidnaps Kyle Travers, while a dangerous new street drug infiltrates the city. Beckoned by these events, his brother Cody goes in search of him and meets these dangerous new foes, including the seedy underground boss, head on. No one knows what's happened to either brother and whether they are dead or alive. This void makes the city unfurl into chaos and anarchy. Stepping into the breach is their other brother, Kyle Travers. He begins his mission to find out what's happened to his family members. Final Fight Streetwise follows his adventure as he builds up his reputation, brawling with other fighters as he tries to build up his reputation. 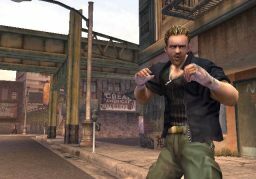 During the game, Kyle will have to use his fists, weapons and, fighting skills to survive the dangerous streets of Metro City. The game is set in the traditional Final Fight universe, and players will encounter both new and old characters that can help him during the game. 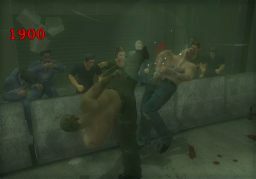 Fighting other characters in the game is one of the key elements. As you compete in more fights and win victories, Kyle will earn "respect" by showing both his hand-to-hand and weapons-based fighting abilities. Building this up is a crucial aspect of your character will allow you to gain new fighting skills, weapons, information and more support from other characters in the game. These elements are quite important and play a crucial role in allowing you to complete mission objectives and progress through the game's later levels. What's important to understand about the respect system is that it evolves over the course of the game. 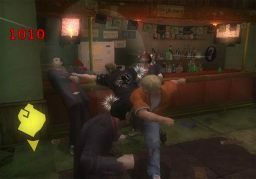 Your respect level is adjusted throughout the game and as it changes, so will your interactions with other characters and enemies in the game. 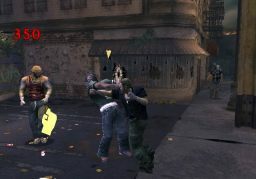 In addition to battling foes, players can earn respect by winning pit fights, completing side-missions, and finishing min-games. The respect meter has two main elements to keep track of. The first of these is the Tension variable that affects the character's overall fighting ability. As this increases, you can perform more powerful attack moves. How much tension your character earns depends on the intensity and ferocity in how they fight opponents, the higher this goes, the more the player will benefit. The other key respect measurement is money, which allows you to purchase a variety of items such as weapons, information and more. You can also use your cash to hire allies to aid you in your quest. You can earn money in several ways including winning organized fights, taking it from defeated foes or, by completing mini-games. The respect system is detailed and interesting, adding enough depth to the title that it should make Final Fight Streetwise more than just another mindless button masher. While the respect system is important, Final Fight Streetwise's fighting system itself sounds quite impressive. Players will have two basic methods of attacking enemies. The first method is by using hand-to-hand combat. This will allow you to deliver both close range attacks and powerful combos using both your character's hands and feet. As in the original game, players will be able to pick up a variety of objects including such as pool cues, 2X4's, pipes, knives, grenades, shotguns and machine guns to inflict an even greater amount of damage on those unlucky enough to cross your path. You can use the weapons in combination with your street moves to make your attacks even more effective. 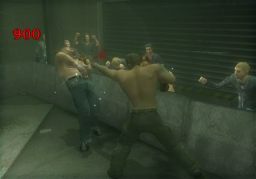 For example, you can pummel them with your fists then use the shotgun to finish them off quickly. 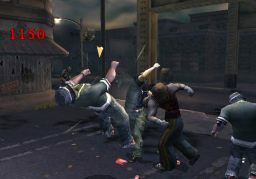 The standard combat mode sounds intense, but Final Fight Streetwise will also include several enhanced fighting abilities using the Instinct mode. When players enable this mode, they can quickly implement a lethal combination of both hand to hand and weapons attack to perform a devastating combo. This mode increases the character's speed and accuracy, making them even deadlier foes. Finally, players can slow down time for a brief time using the Counter-Attack mode. This allows you to strike at opponents effectively before they can react, allowing players to take out enemies quickly and effectively. Overall, Final Fight Streetwise's combat system sounds incredibly versatile, which should give the depth and nuance Capcom's traditional fighting games are famous for. Unlike its side-scrolling forebears, Final Fight Streetwise is a fully 3D experience, with large expansive levels that give the players plenty of room for exploration. The visuals in the game are looking quite impressive, with an exceptional level of detail evident throughout. A smooth frame rate, along with fast, intuitive controls should keep the game's arcade heritage at the forefront. Cinematic sequences will flesh out the story and give the plotline added drama and intensity. The game won't be as linear as the classic Final Fight titles, with a more open-ended design aiming to open up the experience. The game's level designs will include numerous side-quests, which allow you to compete in additional battles with opponents. As you progress deeper into the game, the plot thickens with unexpected twists, and connections that should keep players' interest levels high throughout the game. Final Fight has obvious ties to the classic title but that doesn't mean this is purely nostalgia. Instead, Capcom is looking to bring this long running franchise up to date with a variety of enhancements. Some of these new elements including a deep fighting system, engaging plot, fantastic visuals should extend the game's longevity and depth. While these changes are impressive, Capcom hasn't forgotten that fast brawling, accessible gameplay and intense combat lie at the heart of the series' long standing appeal. In keeping these elements balanced, Final Fight Streetwise is a promising revival that should appeal to old fans and newcomers alike.